ECSRA provided the communal BBQ’s, lit up the venue with coloured lights and hosted a table so nobody needed to feel lonely. 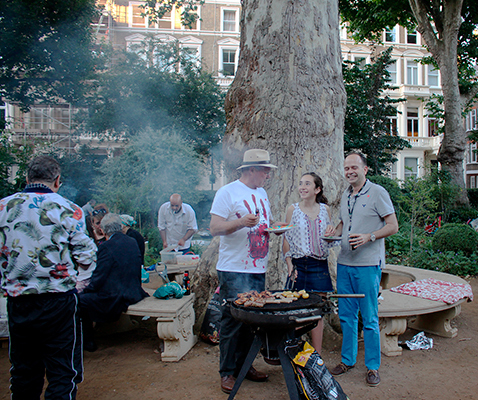 The balmy weather (always a concern) helped to swell the numbers at this very well attended event, which is open to all residents of Earl’s Court Square. All profits from the BBQ go towards financing “The Lighting of the Christmas Tree” and the AGM, which are “free” events for residents, and on-going expenses such as maintaining our website.